St. Vladimir's Parish Family members are welcome to attend these meetings or to discuss issues they deem important with Fr. Gregory, Jack, or any Parish Council member. Deviations from this schedule are posted on the St. Vladimir home page in the "Announcements" section. Those who would like to review Parish Council minutes are asked to contact Fr. Gregory or Jack. 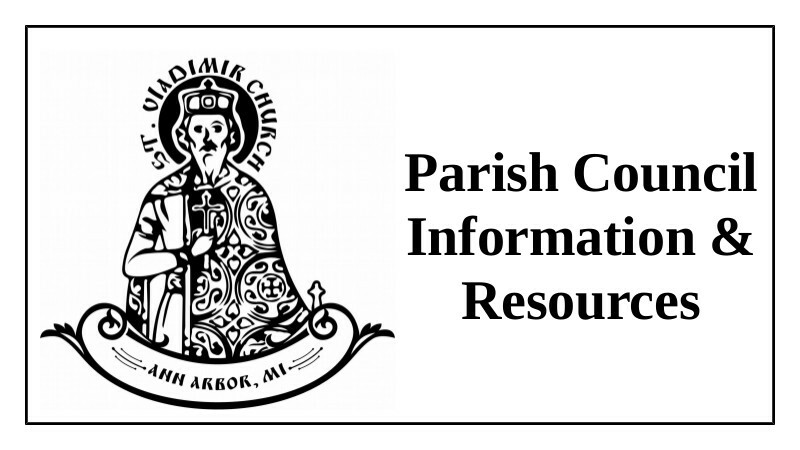 Minutes may be reviewed by any St. Vladimir parish member. We are looking for an additional volunteer - please talk to Ken or Fr. Gregory to help! Additional information regarding the Parish Council is below.